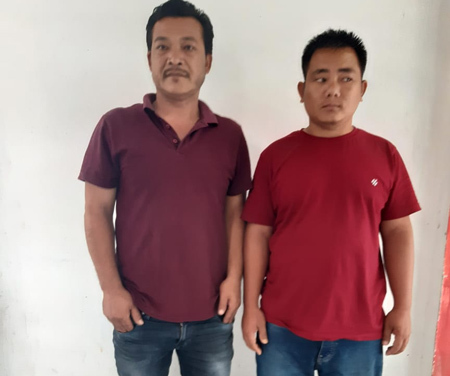 ITANAGAR, Feb 5: A person has been arrested in connection with the 3 February acid attack case in Longding in which a shopkeeper and his brother were severely injured when an unidentified person threw acid at them. The incident had occurred in the main market area. Along with the duo, five customers who were standing nearby had also received minor injuries. The severely injured – Anwar Uddin (35) and Akter Uddin (33) – are currently undergoing treatment in Dibrugarh in Assam. Speaking to The Arunachal Times, Longding SP Rohit Meena informed that the police, after scrutinizing CCTV footages, detained five persons on Monday and, after interrogation, zeroed down on one suspect. The SP did not divulge the suspected assailant’s name, but said the police have taken the person in custody and investigation is on. “Though we have not been able to record the statement of the victim as he is undergoing treatment, we suspect personal enmity to be the motive behind the attack,” the SP said.